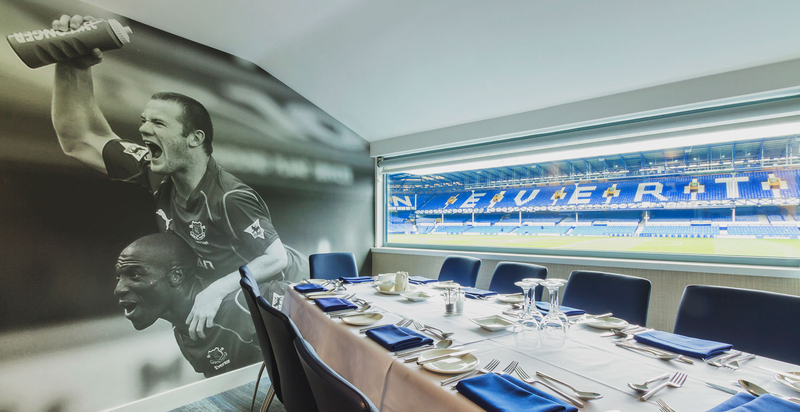 The corporate hospitality areas to Everton FC underwent a major remodel and refurbishment during the season break of 2017 to create a quality fine dining environment for directors and guests. 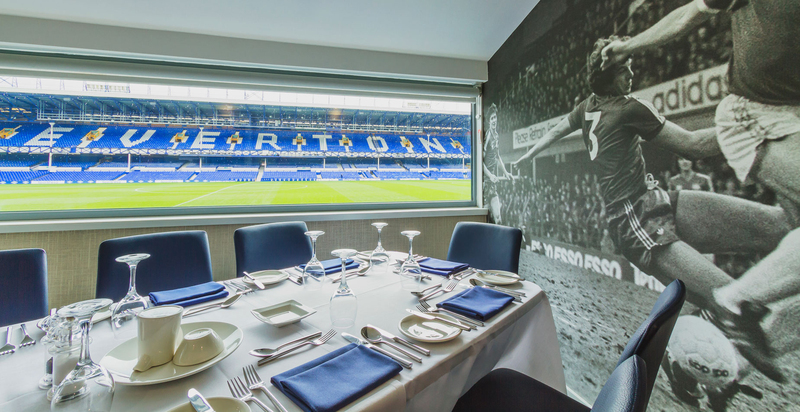 The new interiors have greatly improved the experience the customers receive on match days and has increased the numbers using Everton’s hospitality. 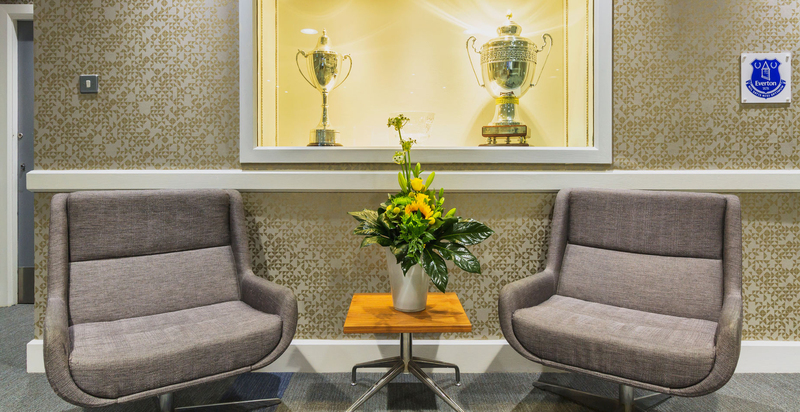 Timescales were tight, and it was imperative that all works were complete by the start of the new season. 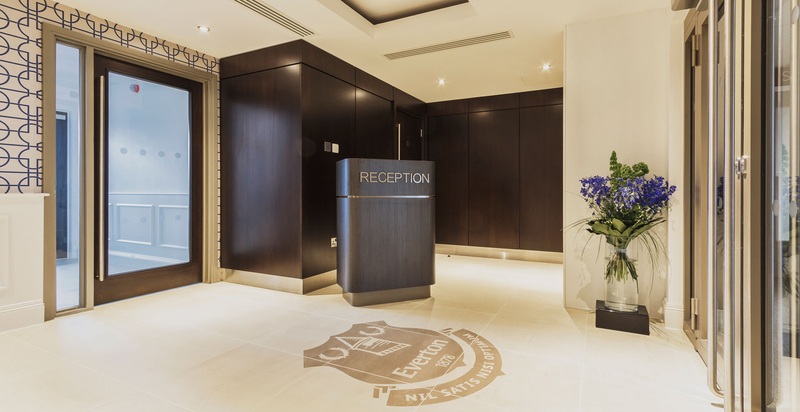 The new boardroom created 34 covers in a fine dinging quality environment. 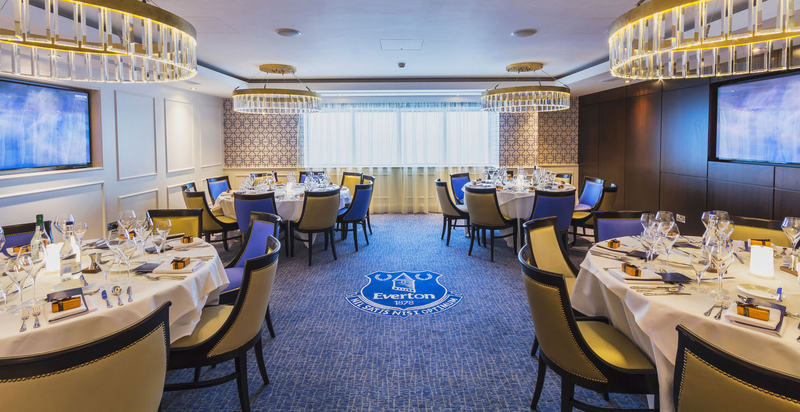 It boasts bespoke lights over each table, walnut timber panelled walls, and a personalised carpet design with the Everton crest in it along with bespoke wallpaper. 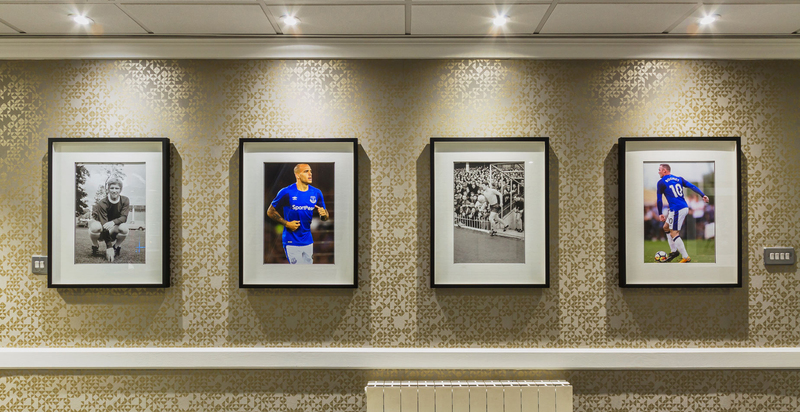 Refurbishment of 11 executive boxes, creating individual boxes for each box sponsor. The boxes each have their own digital wallpaper, artwork cleverly indicates who’s the box sponsor without it being too much in your face. 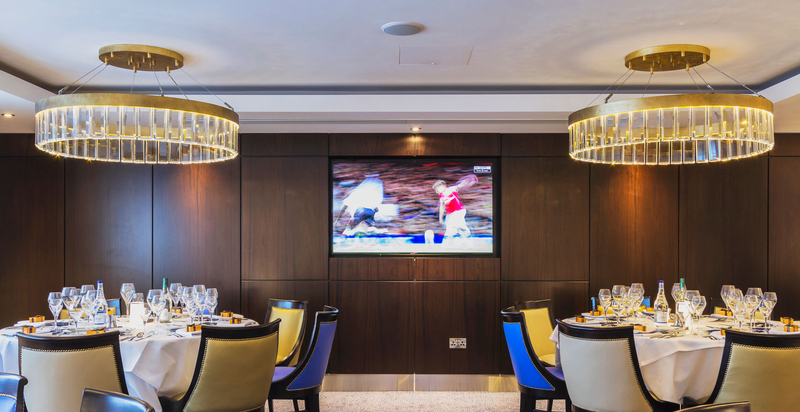 Refurbishment of existing BT and Sky TV studios into hospitality viewing dining boxes. 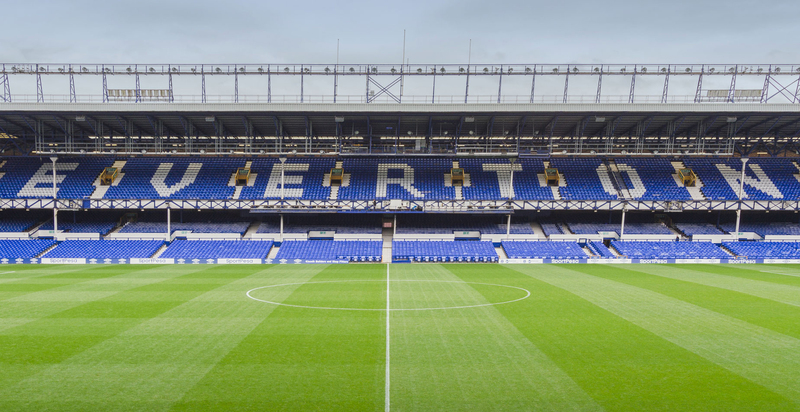 Other works included alterations to the existing terrace to create a new mid-tier wheelchair platform for disabled spectators, upgrades to the corridor areas and new toilet areas. 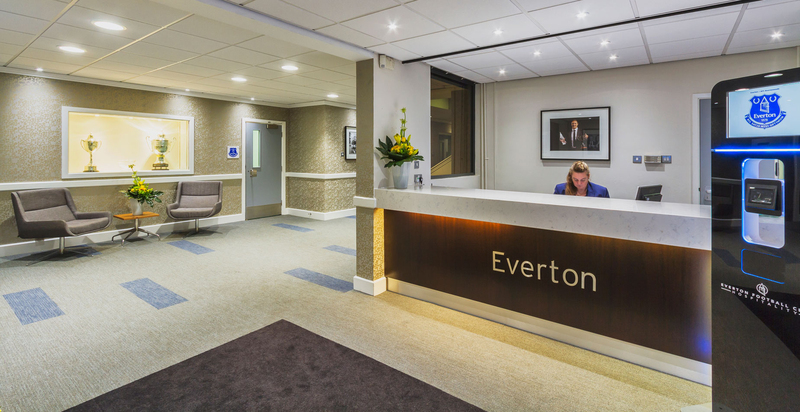 Upgrade of decoration and finishes were extended to the Goodison Road reception and staircase when the client saw the quality of finish they were being given.